This calculator will help you to determine the tax deferment you will realize by performing a 1031 section like-kind exchange rather than a taxable real estate sale. Over the course of numerous transactions the geometic growth in capital can be substantial. 1031 exchanges are a special and potentially lucrative IRS service code that allows investors to trade up their investment properties. Allowing purchasers to invest their capital gains on a previously owned property into a new property, 1031 exchanges are an important tool for investors to understand and use to their advantage. This guide provides a quick overview 1031 exchanges and how they can benefit the savvy investor. What is a 1031 Exchange? A 1031 exchange refers to Internal Revenue Service Code 1031 which allows like-kind exchanges on properties. This exchange defers capital gains on the property during the exchange and allows properties to be purchased temporarily tax-free with the capital gains on both investments to be collected when the second property is sold. The theory behind the code is when one property has been exchanged for another, the owner has not actually realized any gain or loss on the property in the form of taxable funds. The owner essentially just transfers the investment into another form. The IRS determined it would be unfair to tax these transactions since no money is being generated on the property exchange. A 1031 exchange must start with a qualifying property. Anything not specifically addressed by the IRS as excluded is up for use in a 1031 exchange so long as it is an investment. Most properties are rental or industrial properties with the accompanying personal property. A primary residence is not considered a qualifying property because it is not a business investment. The property eligible for a 1031 exchange must also have a proper purpose. A proper purpose means the property was generating income through rent or inventory. The exchange takes place for like-kind replacement property. The new property must be of equal or greater value, equity, and debt to the primary property or a boot may apply. 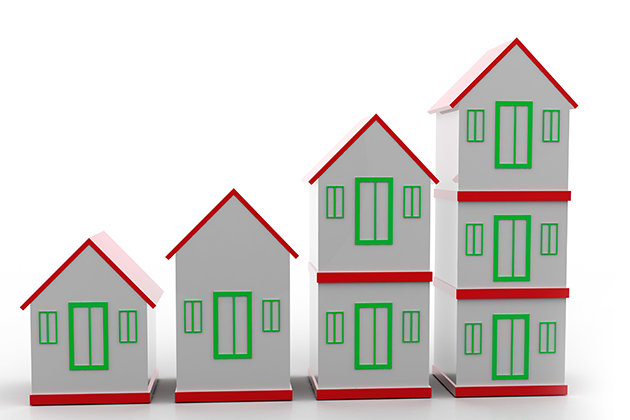 Any net gains on the primary property must be used for purchase of the new property. A 1031 exchange defers all taxes with the exception of monetary gains which are taxed as capital gains. The term property in a 1031 exchange is not limited simply to real estate. In fact, most 1031 exchanges are multi-asset exchanges that involve actual property and personal property. For example, a purchaser might sell a single-family rental to purchase a multi-unit apartment building in a 1031 exchange. The purchaser would expect not only the building and the land but any furnishing and equipment used in the upkeep of the apartment building. The additional personal property would be separated during the sale to identify it as a multi-asset exchange. While personal property, such as furnishing, can be a part of the 1031 exchange, real estate properties may not be exchanged solely for personal property or vice versa. A piece of land or a building is not considered like-kind to personal properties under a 1031 exchange. Real estate must be exchanged for real estate and personal property for personal property. There are five basic types of exchanges. Depending on the property sold and new property being purchased, the type of exchange can vary. Simultaneous exchange: This exchange occurs when the primary property is sold and the second property is purchased immediately. This exchange still requires a qualified intermediary to handle the transaction so the purchaser does not come into contact with the capital gains of the transaction. Delayed exchange: This exchange occurs when the first property is sold but there is not an immediate second property for purchase. 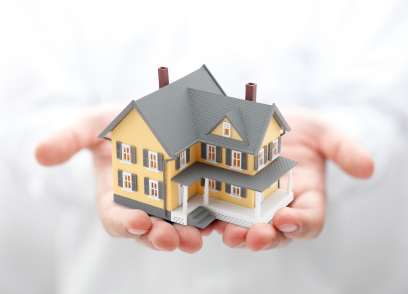 Instead, the funds are held with a intermediary until a second property is purchased. Treasury Regulations require this transaction to be completed within 180 days of the sale of the first property and replacement properties to be identified within 45 days. Build-to-Suit Exchange: Also known as an Improvement or Construction Exchange, this exchange allows the initial property to be sold to provide improvements or replacements on a new property with the money gained from the exchange. The improvements can only be made on the replacement property, not any currently owned properties. This is is beneficial to investors who want to complete a 1031 exchange for a lower cost property that needs work. Reverse Exchange: Also known as a parking arrangement, this exchange occurs when the secondary property has already been purchased and the proceeds from the primary property are retroactively applied to the 1031 exchange purchase property. The purchaser cannot hold the primary property and the secondary property simultaneously for a reverse exchange. Instead, an Exchange Accommodation Titleholder (EAT) holds the replacement property until the purchaser sells the initial property. Like the delayed exchange, the entire process needs to take place within 180 days to be protected. Personal Property Exchange: This exchange does not involve actual real estate property. Instead this is the exchange of personal goods used for investment purposes. As was previously mentioned, personal property may not be exchanged for real estate but this exchange may be used for investors who want to sell older machinery to upgrade to a newer model. Most 1031 exchanges do not occur as a simultaneous exchange. Finding a like-kind property can take time and most sellers are only comfortable when the potential buyer has the funds for purchase available. The IRS allows 45 days after selling the primary property to identify the a potential replacement property and 180 days for the transfer to complete. If a replacement property is not identified within 45 days, the exchange fails and taxes will need to be paid on the primary property’s capital gains. Even if the 45 day deadline is met, if the replacement property is not purchased within the 180 days, capital gains taxes must be paid and the 1031 exchange is null. These deadlines are steadfast except in the event of a natural disaster when the IRS may grant an extension. Qualified intermediaries, also known as accommodators or exchange facilitators, are independent parties who facilitate the tax-deferred exchange by holding the funds during the interim of the 1031 exchange. Once the new property is purchased, the QI is responsible for acquiring the purchase and transferring the property to the homeowner within the IRS time limits. The QI becomes the receiver of the gains on the 1031 exchange and holds those gains in productive use until a like-kind transaction can be made. This releases the purchaser from claiming the funds and allows the funds to be deferred under IRS source code 1031. The QI holds the capital gains until a new property is purchased which is when they release the funds for the purchase. A QI relieves the seller from explaining the transaction as anything but a 1031 from the IRS. If a QI is not used, the IRS may not recognize the transaction as a 1031 exchange because the seller would receive capital gains from the initial property sale before completing the second transaction into a new property. Under no circumstances can the purchaser act as their own QI. A qualified professional who is well versed in the ins and outs of IRS source code 1031 is the best way to complete a 1031 exchange. For property to qualify for a 1031 exchange, it must be “like-kind”. This means the properties being exchanged must be similar. Before revisions to the 1031 exchange service code, the IRS only accepted like-kind exchanges by a very narrow definition. If a purchaser wanted to exchange a three unit apartment building, they would need to exchange it for a similar three unit apartment. This is no longer the case. The definition of like-kind exchange has expanded to include most any real estate property for another. Currently, condition does not matter when making a like-kind exchange so a dilapidated building can qualify for exchange with a nicer building so long as the replacement property rules are met. In addition, like-kind can also encompass developed property exchanged for undeveloped land. An apartment unit could be like-kind exchanged for acreage. So long as both properties in the exchange can be used for investment and contain some amount of real estate, they will qualify for exchange. The exemption for this allowance is international property. The IRS will not allow 1031 exchanges for any property outside of the United States on either end of the exchange. Regardless of the investment, should an international property be bought or sold, capital gains taxes must be paid. As was mentioned previously, the exchange must be made for a property that is equal or greater in equity and value to the primary property. When identifying potential replacement properties during the 45 day grace period, there are three rules that limit which properties the purchaser can request for the exchange. The purchaser must meet the requirements from one of the three rules to have the exchange approved. 3-property Rule: This rule simply states that the purchaser identifies three properties they would be willing to purchase under the exchange. From these three properties, they can purchase any or all with the monetary gains from the primary investment property sale. 200% Rule: This rule allows the purchaser to identify any number of properties with a total value no more than twice the primary property value. 95% rule: The purchaser identifies as many replacement properties as they are interested in but agree that before the end of the 45 day exchange period, they will acquire a replacement property that is 95% or greater of the aggregate fair market value for all the identified properties. Once a rule is chosen and the appropriate amount of replacement properties identified, the purchaser must sign and notify in writing their intent to a “disqualified person”. This is a party that has a relationship with the purchaser, such as a blood relative, a realtor, or an attorney. A qualified intermediary may also assume this role. Extra cash or equity available at the end of a 1031 exchange is known as a “boot”. This income is taxed the same as capital gains. A cash boot is any extra money returned to the purchaser after the completion of the exchange. If the purchaser sells their first property for significantly more than the exchange property, they may still receive cash at the end of the exchange. Ideally, this cash boot could be negated by purchasing additional property under the 1031 exchange or applying the cash boot to improvements on the new property to avoid being taxed on the gains. A equity boot is also taxed during a 1031 exchange. If the replacement property decreases the purchaser’s liability, for example exchanging a home with a $500,000 mortgage for a home with a $400,000 mortgage, the decrease in liability is taxed as capital gains. In this example, $100,000 would be taxed as a gain. Like a cash boot, this cost can be decreased or negated by purchasing more property to increase the purchaser's liability or taking out more equity for improvements on the new property. Ideally, a 1031 exchange will not result in a boot to avoid unnecessary taxes. A Section 1031 Like-Kind Exchange must be reported to the IRS on a Form 8824 and filed with the tax return for the year the exchange was performed. The form asks the purchaser to describe the properties exchange, identify when properties were identified and transferred, the relationship between the parties who exchanged property, values of both properties, the net gain or loss on both properties, the persons who received the cash and who accepted liability for the exchange and finally the realized gain for the exchange. Properly filling out the paperwork is imperative as a denied 1031 exchange form will result in the payment of taxes on the initial property plus penalties and interest. In addition to facilitating and determining the legality of the exchange, a qualified intermediary can help the purchaser complete the paperwork to ensure the IRS recognizes the exchange. A 1031 exchange is the only IRS techniques to defer taxes during a property sale. This is a boon to property purchasers because instead of losing money to taxes during an exchange, they can keep the capital gains for a larger, more profitable purchase. With no other IRS source code is there an option to upgrade property on a tax-deferred basis. Those using a 1031 exchange can also reallocate assets in their investment portfolio without paying taxes on capital gains. Since the 1031 exchange only requires like-kind replacement properties, purchasers are able to diversify their portfolio through a simple exchange of property. If an investor has a portfolio heavy with single family units, the ability to exchange those for a hotel property or land for development helps investors branch out into new industry. 1031 exchanges exclude the sale of properties held specifically for sale, inventory, stocks, bonds or notes. Debt and interests in a business cannot be exchanged. A primary residence also cannot be used for a 1031 exchange as it is not an investment vehicle. 1031 exchanges also cannot be used to purchase a new primary residence. While the exchange property may eventually be converted to the owner’s primary residence, the property must be used for proper use for at least two years to safely be considered an investment property. Owners wishing to take advantage of the homeowner's capital gains exemption have a five year holding period before it is applied. While developed properties may be exchanged for undeveloped land under a 1031 exchange, depreciation recapture is taxed when completing a 1031 exchange. The depreciation recapture is taxed like normal income and it essentially recollects the offset money previously gained on taxes from depreciation on the first property. Vacation or second homes are commonly not included in a 1031 exchange because listing them for sale would exclude the residence under IRS codes. Still, there are exceptions that allow second homes to convert to investment properties and exchange properties to be used as the purchaser’s primary residence. Prior to 2004, a loophole was available for second homeowners which allowed them to offer the second property as a rental but not actually rent the space and still claim the property as an investment, making it available for a 1031 exchange. That loophole was closed but purchasers with second homes can still utilize a 1031 exchange. The primary vacation home must be actively rented out to qualify as an investment property. While the IRS does not specify an amount of time the home must be an investment property, the longer the property qualifies as an investment, the better. One year is considered to be the minimum time with active renters using the property and paying rent. Once an exchange takes place, the second home must adhere to the 2008 IRS safe harbor rule. This rule states that the IRS will not challenge any investment property turned second home gained from a 1031 exchange if two criteria were met. First, in the two years following the purchase of the second property, it must be rented out for fourteen days or greater as a fair rental market. Second, the investment property may not be used by the purchaser for greater than fourteen days or more than 10% of the number of days the investment property is rented during each year period. Those hoping to exploit the $500,000 capital gains exclusion on primary residence will be disappointed to learn that the IRS made this process longer and more difficult with the changes to 1031 exchanges in 2004. Before the change, homeowners could convert their 1031 exchange investment property into a primary residence and shield all capital gains under the exclusion, effectively turning the 1031 exchange tax-deferral into a tax-free transaction after just a few short years. Now, purchasers must adhere to the two year plan set by the IRS to ensure the property remains an investment. In addition, capital gains will be collected for five years following the 1031 exchange regardless of property use and the primary homeowner exclusion will not apply within this time frame. While it is still possible to use shield the capital gains through primary home ownership, it takes much longer. With the help of a qualified intermediary and a grasp of IRS source code 1031, investors can make strategic gains with their investments. While not all investment opportunities will benefit from a 1031 exchange, any like-kind exchange should at least explore the 1031 exchange option for maximum investing savings.